Ever since remote times, Spain has been a mysterious door separating not only two continents, two worlds or two realities but also a mysterious third element: the beyond, the Finisterre, the farthest land in the explored world and later on, a fourth element, the new world. For this very reason there’s nothing strange about Spain having always been a crucial strategic landlock, a territory that all the peoples who went across, throughout history, had wanted to dominate: The Iberians, Celts, Phoenicians, Greeks, Romans, Carthaginians, Wisigoths, Castillans… This is precisely thanks to that untiring human transhumance across this bountiful territory why today’s Spain numbers an outstanding list of landmarks with a preservation order of Mankind Heritage. All in all, 44 among them have been mentioned by Unesco, which ranks Spain third in the world listing of cultural, natural and immaterial heritage (right behind such colossus as China and Italy) although a great many wonders aren’t to be found in this list and are however an invaluable treasure. If the cultural heritage is mentioned, we mustn’t overlook the one bequeathed to the peninsula by the Romans, like for instance Teatro de Italica in Seville, the outstanding Roman theatre in Merida, the circus or amphitheatre in the Roman city of Tarraco (Tarragona) as well as unforgettable works of engineering like the aqueduct in Segovie. This monumental structure – 813 meter long and 28 meter high – was built in the 2nd century without any mortar but exclusively with granite blocks that hold together with their own weight. We will not overlook either the tremendous imprint of Arabic culture and sciences as well as Moslem architecture on Spanish ground, magnificent examples of it being the Mosque-Cathedral in Cordoba with its ancient walls, the Alhambra, the Generalife and Albayzin in Granada. Let’s also mention o f course the history of Toledo known as « the city of three cultures » in which Moslems, Jews and Christians lived together. 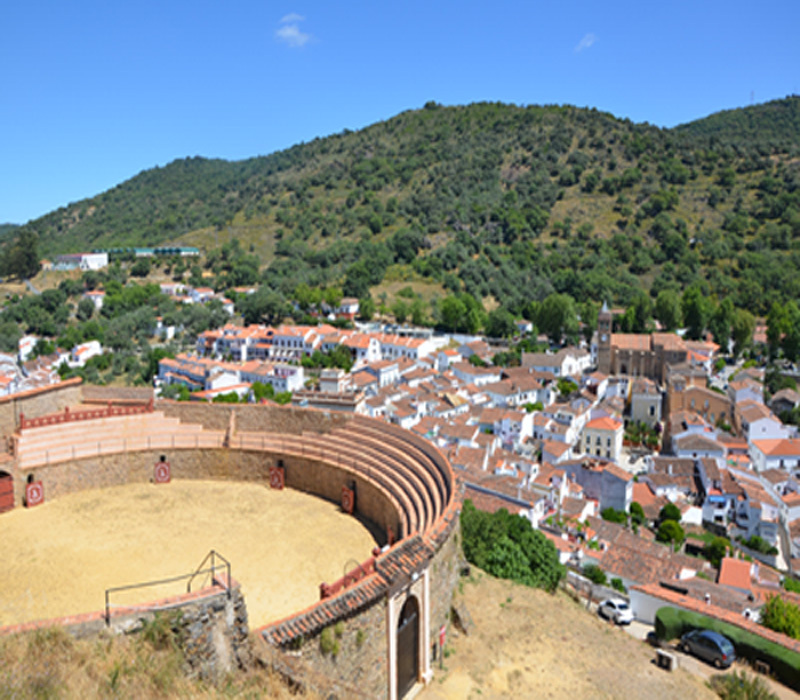 For those who have a passion for the Middle Ages, Spain has indeed plenty to give and show. Salamanca is a magnificent example of it with its old town and its university built in 1254, one of the oldest in the world. Not to be missed either, North of Madrid, the sumptuous enclosed mystic town of Avila where Saint John and Saint Theresa of Avila lived. The town is said to have the best preserved walls in Europe. Although many towns in Spain are outstanding for their fabulous cultural heritage that developed throughout the various ears like Caceres (Estremadura) or Cuenca (Castille La Manche), some see their splendour nowadays with varied artistic influences (Renaissance, Gothic, Baroque, Neoclassic…). Let’s mention for instance Alcala de Hemares, hometown of famous Miguel de Cervantes, Saint Jacques de Compostelle, last stage in Saint Jacques pilgrimage with its huge social, religious and cultural impact in the whole of Europe. 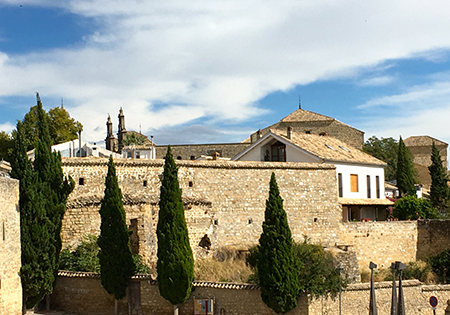 There are as well Ubeda and Baeza (in the province of Jaen, Andalucía), jewels of the Renaissance with countless enthralling places no visitor ought to miss! On the Canary Islands, the town of San Cristobal de la Laguna is noticeable for its architecture and town planning: it’s already a source of inspiration for the overall layout of numerous towns in the New World, namely Latin America. As far as Spain’s natural heritage is concerned, a few explanations should be given about the most remarkable natural landmarks (falling into the category of Natural Parks). It would be impossible indeed to describe the 45 areas declared to be a « Biosphere Reservation » thanks to which Spain ranks second in the world, right behind the U.S.A. Doñana National Park, a biosphere reservation, is located at the mouth of Guadalquivir, the longest river in Andalucía. It’s the heaven of numerous species of migratory birds before they fly on their long journey back to Africa. It’s also the dwelling of Iberian Lynxes, an endangered species of endemic big cats. Within the park there’s to be found a huge biodiversity and a wide variety of ecosystems. In the heart of the small island of Gomera on the Canary archipelago there’s Garajonay National Park with its luscious forest of laurels always shrouded in mist, a mystical bond between the earth and the clouds thus fostering and harbouring a great many vegetable species, as well as birds, amphibians and reptiles. Still on « the lucky islands » as the Canaries are called, we can admire Teide National Park, a 3187 meter high volcano, the highest place in Spain. One will be surprised at the strange rock formations or at the huge number of endemic species of insects – hundreds of them thriving sheltered by the giant volcano-. The flora in the area is also remarkable and represents one of the most beautiful landscapes in Spain, under one of the purest sky on the planet. 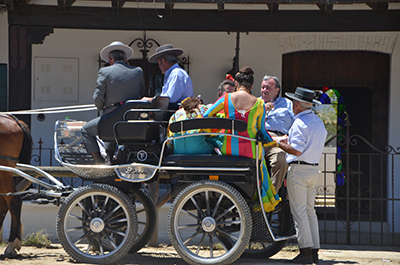 Travelling from the Canary Archipelago to the Baleares, more precisely to Majorca, we discover the cultural sights of Tramontana Sierra, where the hydraulic appliances for agriculture date back to the Middle Ages, in a rough area full of precipices. The small vegetable patches cultivated on numberless terraces are a unique example of the profitable use of the resources of the habitat and are besides a delight for the eye, not unlike the artificial lakes of Cuber and Gorg Blau. Finally, going North almost near the border of Spain, we can enjoy Ordesa National Park in the Aragon Pyrenees. 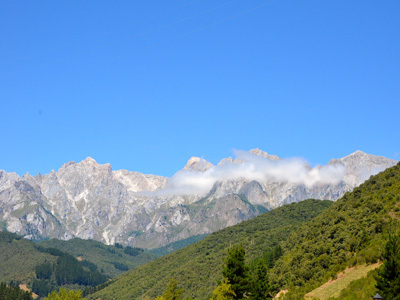 It’s a bewitching place surrounded by huge mountains, - among them the stately 3355 meter high Mont Perdu. Its wealth in fauna and flora and its wide variety of ecosystems, both Atlantic and Mediterranean-, make this park a unique and precious area.